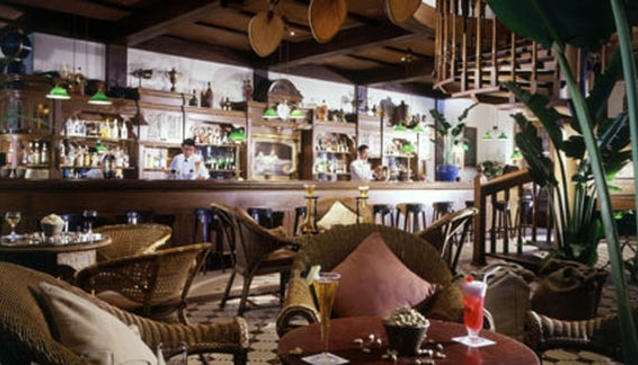 The bar serves the famous Singapore Sling and is well known for it alcoholic and non-alcoholic cocktails. In the evening, drinks are accompanied by a live band performing popular hits. Combine the visit with a stroll through the beautiful gardens of the Hotel.